Synthetic viruses - Anything new? The human cytomegalovirus (HCMV) genome was sequenced by hierarchical shotgun almost 30 years ago. 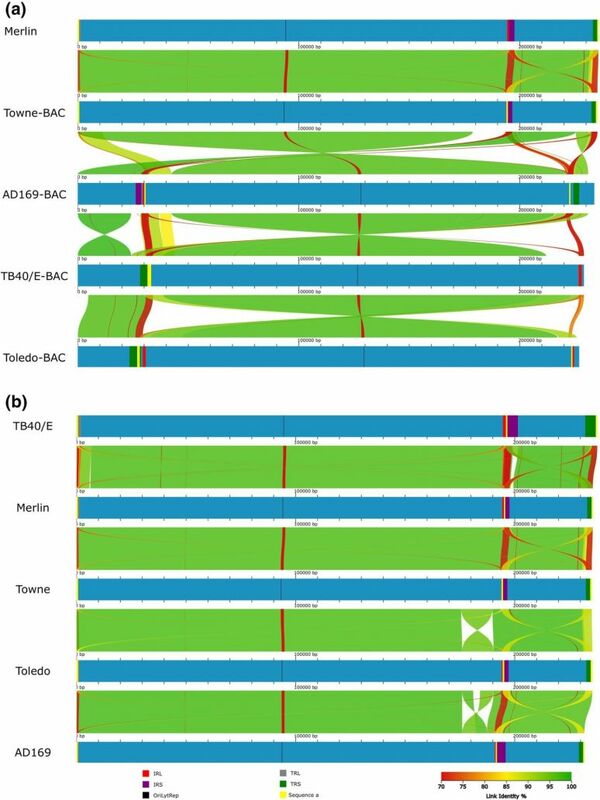 Over these years, low and high passaged strains have been sequenced, improving, albeit still far from complete, the understanding of the coding potential, expression dynamics and diversity of wild-type HCMV strains. Next-generation sequencing (NGS) platforms have enabled a huge advancement, facilitating the comparison of differentially passaged strains, challenging diagnostics and research based on a single or reduced gene set genotyping. In addition, it allowed to link genetic features to different viral phenotypes as for example, correlating large genomic re-arrangements to viral attenuation or different mutations to antiviral resistance and cell tropism. Host switching pathogens, infectious outbreaks and zoonosis; a Marie Sklodowska-Curie Innovative Training Network. This project has received funding from the European Union's Horizon 2020 research and innovation programme under grant agreement No 721367.